The three dominant forces shaping societies and economies around the world are globalization, privatization, and liberalization. Because these processes are interrelated, they must be addressed collectively. 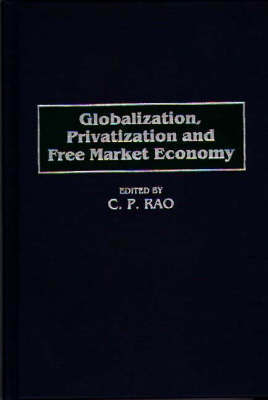 The contributors to the volume show that globalization, privatization, and liberalization are multidimensional phenomena that impact not only the economic considerations of governments, but also sociocultural and environmental aspects of societies. The three phenomena also affect these units of analysis- which Rao and his colleagues identify as regional, country, industrial, and organizational. The result is a cogent discussion of these powerful global forces, for the academic community, professionals in economic development, banking, finance, international investment, and global commerce. After treating the conceptual issues of meaning, definition, and differing interpretations and perspectives, the volume examines the historical experience with regional economic integration. The flow of foreign direct investment-a major consquence of globalization, privatization, and liberalization of economies is considered next. This leads to a study of the challenges created for management at the microlevel in organizations, such as the intensification of competitiveness, and the increased importance of technology and technology management. In their examination of country-specific issues, the contributors show how widely experiences vary with regard to the way in which the three major processes are implemented and how the policies behind them are adopted. Finally, in their discussion of sectoral and industry-specific issues, the contributors note that great variations on how different industrial sectors and industries will approach and recreate themselves under the power of the three great processes.